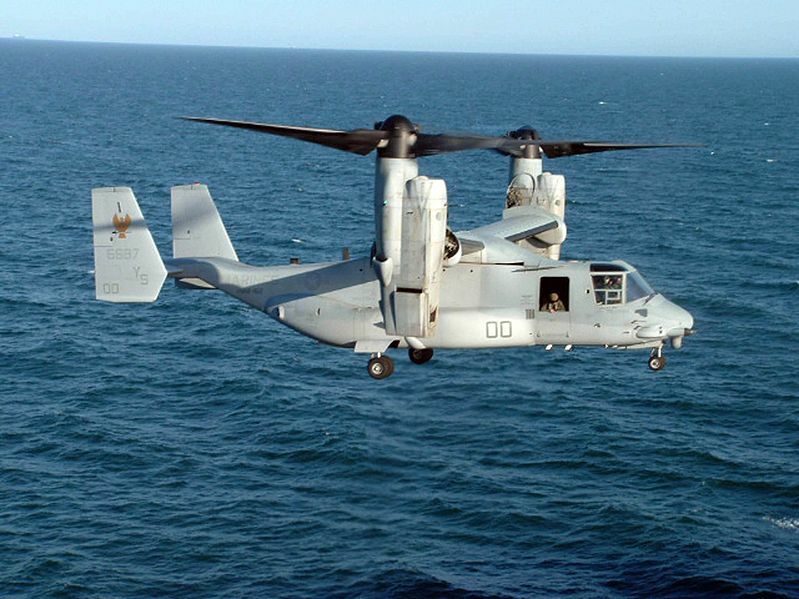 Marine Corps MV-22 Osprey prepares to land aboard the amphibious assault ship USS Nassau (LHA 4). The V-22 first flew in 1989, and began flight testing and design alterations; the complexity and difficulties of being the first tiltrotor intended for military service in the world led to many years of development. Since entering service with the U.S. Marine Corps and Air Force, the Osprey has been deployed for combat operations in Iraq and Afghanistan.